Secret Cravings Publishing are having a blog hop to identify the location of their authors around the world. Read the following clues and try to find out where Carolyn Wren lives. I have temporarily deleted my location from my bio, so no cheating! My country has sun sea and sand and a Matilda who Waltzes. My state is not to the east and is larger than Texas. My city was named the City Of Light by Astronaut John Glenn. Check out the website and the blog to find other authors and locate them for more prize chances. Congratulations on winning a $5 book voucher from Secret Cravings Publishing, if you are able to supply us with an email or contact address we will be in touch soon. Perth, Western Australia - hope you have a great hop. It's Australia, but not sure of the city. I can copy Sherry, though, and say, Perth. But that would be cheating!! LOL! Perth, Western Australia. Would love to visit one day, if I win the lottery. I'm copying everyone else here because I'm kind of clueless- Perth, Western Australia. I will say Perth, Australia. Have you heard of romance author Dorothy Cork from Australia? She wrote in the 1980's, and my favorite of hers is Red Diamond. I always wanted to write her a note but could not find where to do so. Enjoy blog hopping! Not wrong it's bigger than Texas. You put that in to ryle the Americans, didn't you? Carolyn Wren can neither conform nor deny the guesses so far are correct :) But I suspect someone will be getting a prize on Monday. The draw will be random to make it fair. You live in Perth, Western Australia! Thanks for being part of the hop! I learned something new today...Perth, Western Australia. 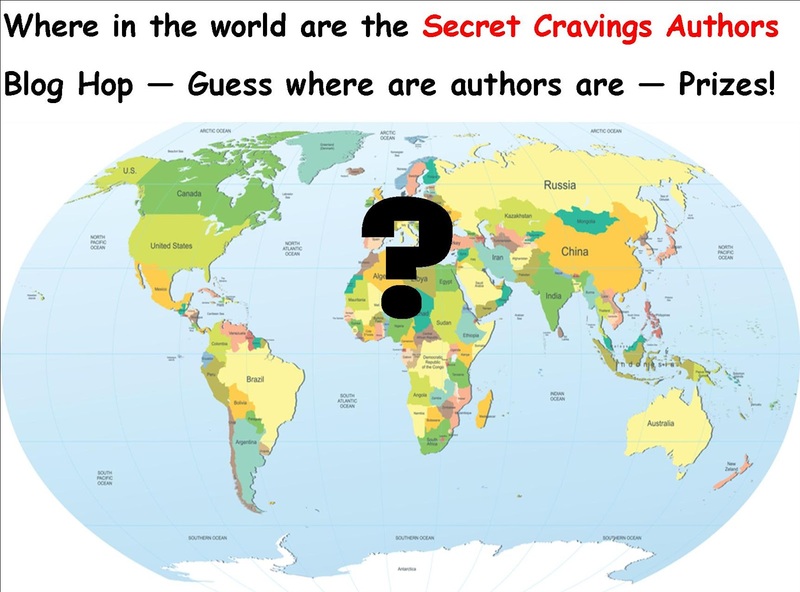 Congratulations on winning a $5 book voucher from Secret Cravings Publishing, we will be in contact soon.